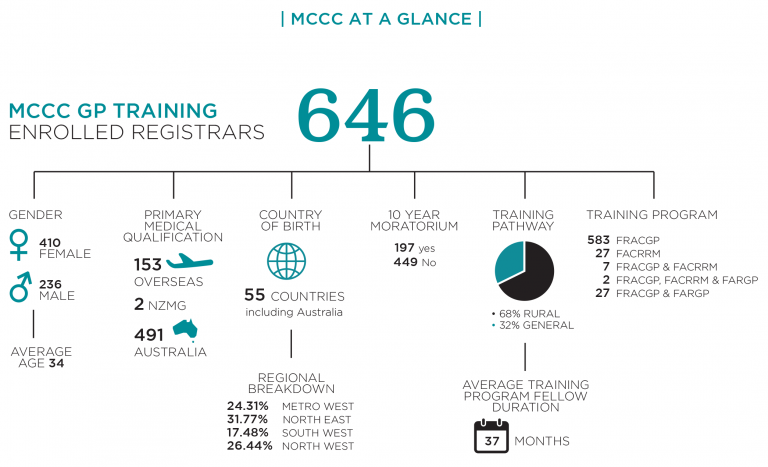 MCCC offers diverse, high quality education and training opportunities across a region that includes rural, remote, outer-metropolitan and metropolitan settings. Our training footprint spans western regional and rural Victoria, and the greater western and northern metropolitan Melbourne area, covering approximately 40% of the city’s population base. MCCC’s urban communities comprise 40% of metropolitan Melbourne residents, together with well over 1.3 million people in the inner and outer northern and western suburbs. Our rural communities include the large regional cities of Greater Geelong, Warrnambool, Mildura, Ballarat, Greater Bendigo, Greater Shepparton, Albury Wodonga and scores of small rural country and coastal towns and villages. Many regional centres along the Murray River also provide GP and hospital services for patients in numerous rural towns in southern NSW but these numbers are not reflected in Victorian population or health provider statistics. 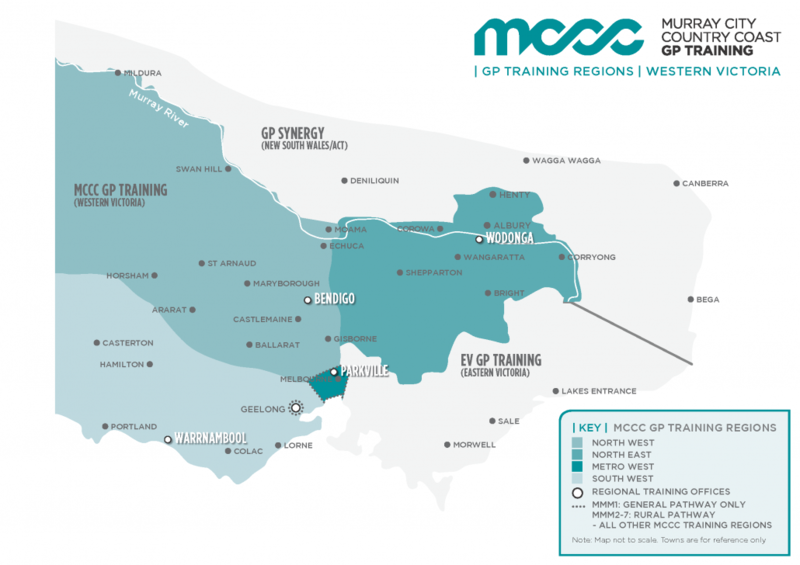 The MCCC GP Training footprint is home to 50% of Victorian’s– just under 3 million people – and covers three-quarters of the State. By 2031 the population in the MCCC footprint is expected to be more than 3.6 million. In recognition of our rural reach, MCCC’s GP ‘trainee workforce’ is comprised of 60% rural and 40% general pathway registrars.